Following World War 1, the auto industry began producing more affordable vehicles such as the Ford Model T. For this reason, sidecars (along with motorcycles in general) began falling out of fashion among consumers. As an example, Harley Davidson and Indian motorcycles saw one-third and two-third reductions in sales respectively from 1920 to 1922. Safety concerns also caused sidecar racing to be banned in the United States starting in 1925, an additional blow to the industry. 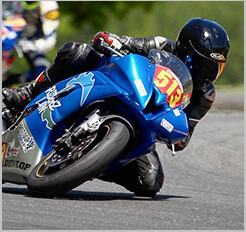 When the Great Depression hit and money got tighter, motorcycles and sidecars did find a modest boost in the market. But the enduring theme was that as roads improved, cars became cheaper and motorcycle were being ousted as dangerous, the industry became less and less relevant as an entity designed for utility, and instead began migrating towards an article of recreation. 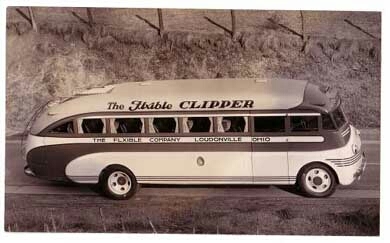 During this time and due to a shrinking and unstable market, the largest producer of sidecars in the world, Flxible Sidecars Company, moved into the car and bus business by 1924. The 1920's and 1930's were a time of marked declination for sidecars, and in many ways the industry would never again reach the popularity it achieved in the beginning of the 20th century. Not to be too morose though, as sidecars would eventually find their enduring niche in the world. During World War 2, both the Allied and Axis forces made use of sidecars in their various theaters of war. In 1938, BMW was asked by Germany to produce a sidecar motorcycle for the impending war effort. In response, BMW created the R-75, an OHV 750 cc flat twin that produced about 26 horsepower and had a sidecar permanently affixed. It was by no small margin the most useful sidecar of its' time. The third wheel of the sidecar was powered by an axle connecting it to the locking differential. It boasted 25 liter (6.6 gallon) fuel capacity, a top speed of 57 mph with sidecar attached, seating for three and fairly comfortable amenities for the sidecar passenger, such as heating for feet and hands (which was especially useful for the sub-zero temperatures experienced in the eastern fronts). The R-75 also featured a selectable short or tall final drive when changing from road to off-road use, while still retaining use of the four speed transmission and reverse gear. 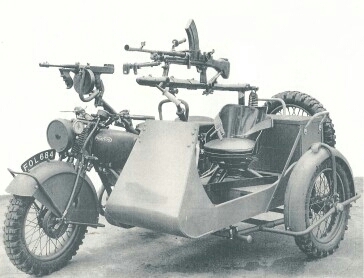 Unlike previous sidecars, the R-75 was often outfitted with an MG-34 machine gun which was operated from the sidecar without further deployment being necessary. By the end of the war over 16,000 of the ordered 20,200 R-75 units were delivered by BMW, before the factory in charge of their manufacture was blown up by the Allies in a bombing raid. 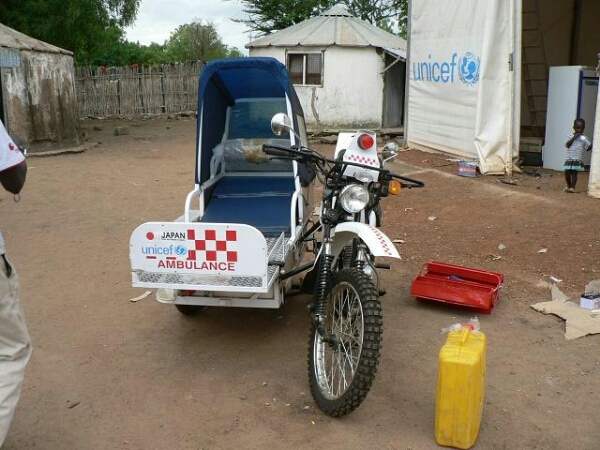 But the story of the BMW sidecar as a tool of the Axis is not so simple. Design plans for the R-71, predecessor to the R-75, were given to Russia by Germany as an act of peace during their time of truce early in the war. Russia went on to produce thousands of these bikes for their war effort, dubbed the M-72 and produced by the newly formed Ural. In a twist of fate these bikes would eventually be used against the Germans once Russia joined the Allies. There is another version of this story, favorable to those who want to distance themselves from the truth of the early Russia/Germany cooperation, that Russia covertly purchased five R-71 units from a dealership in Sweden, took them home and had their experts reverse-engineer the technology. Which story is true depends on whom you ask. 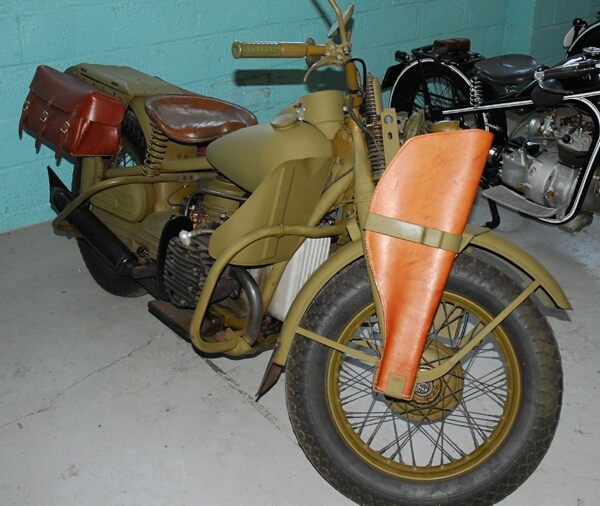 In addition to Russia's recognition of the advanced BMW technology, in 1942 the United States asked Harley Davidson to produce their own version of the bike for the US military. Using notes from both the R-75 and R-71, HD produced 1000 Harley Davidson XAs, though they never went into production on them as they found that a combination of Harley Davidson WLAs and Jeeps were more useful. The British on the other hand use a combination of Norton motorcycles (100,000 produced/4,700 sidecars), BSA motorcycles (126,000 produced), Triumph (50,000 produced), Matchless (80,000 produced) and Ariel (less than 40,000 produced). Though most people think of the Germans as making the greatest use of motorcycles, it was the British who had the most, especially when access to building materials began to diminish. Welbike.com has an excellent collection of Norton sidecar photos, including one outfitted with a mortar! 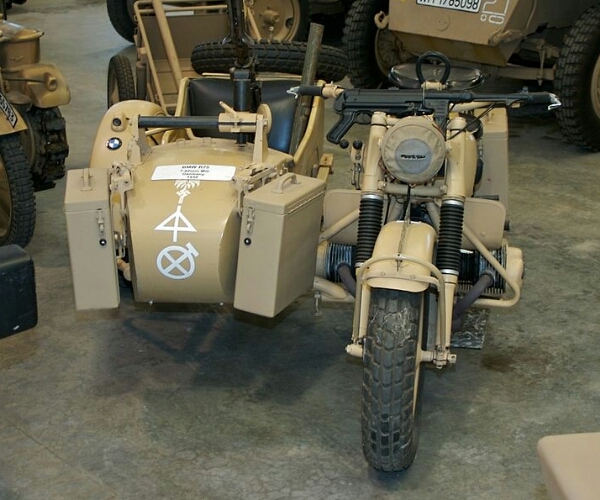 As demonstrated, the sidecar played a key role during the second World War as a tool of great mobility and continued to be deployed in military operations following it. In my next post however, I'll focus less on sidecars in the military and more on sidecars in the consumer realm following World War 2 and into modern times.